The Creation of Adam is a section of Michelangelo's fresco Sistine Chapel ceiling painted circa 1511. 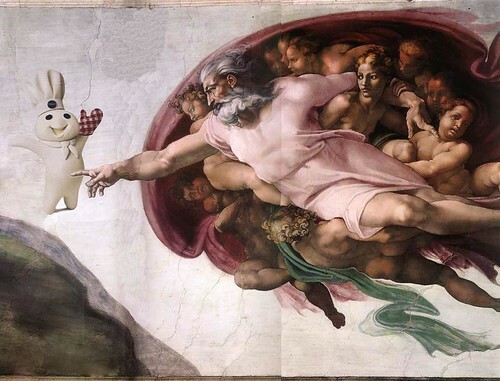 I don't mean to question the work of Michelangelo, but I've always felt something was missing. Finally, they've fixed it. 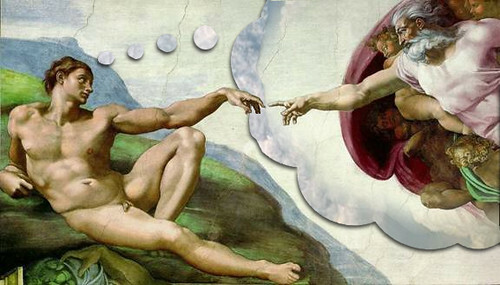 Here's a pic of The Creation of Adam after the edits. Breaking News: They've gone and made another edit. I finally understand The Creation of Adam.